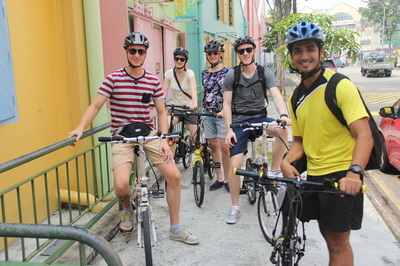 ​We were a group of 4 and wanted a tour to the sights of Singapore. There was a couple of cycling tour companies but Biking Singapore stood out from the rest. They had quite a number of tours listed and we choose the Best of Singapore Cycling Tour. Our guide was Bear and he had the courtesy to slow down for us to take photos, so much that we overshot our tour timing. 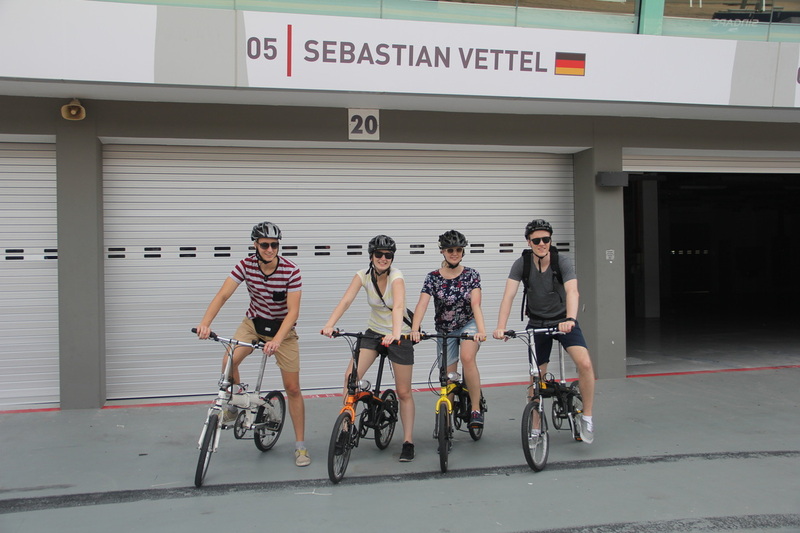 He was kind enough to make sure we got the photos we wanted and even brought us to the F1 Race Pit! That was a real treat for us and made the mark as the most exhilarating of our stay in Singapore. 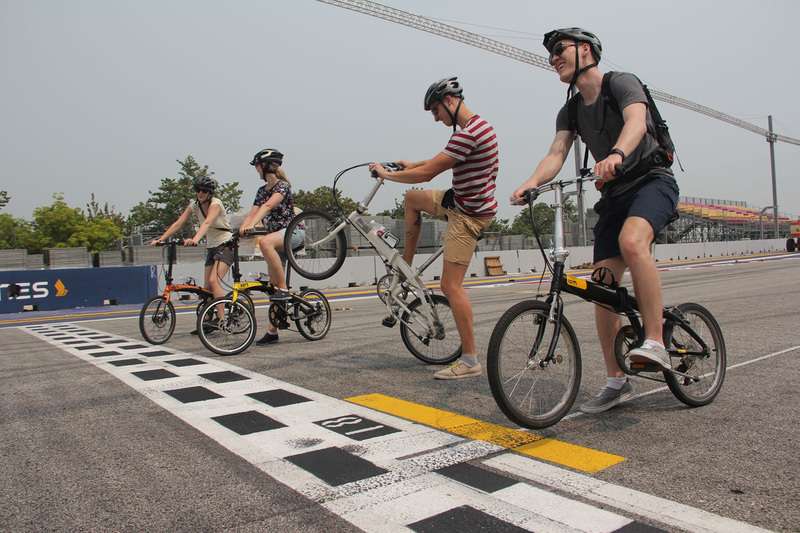 ​Keep it up Biking Singapore! I've easily booked the tours "Best of Singapore Cycling Tour" and "Pulau Ubin Cycling Tour" on the touch panel on the homepage. The answer came very quickly, so quickly went from organizational hitch. The City tour took about 3.5 hours with little citybikes past both sides of the Quays. From the starting point of the Hotel Novotel we went with small stops through the city. The Guide Tony had to give a lot of interesting facts about the city and its culture, a really nice insight on the old and new Singapore. Two days later I had her Pulau Ubin booked tour. Here the meeting was the Changi Point Ferry Terminal (Tanah Merah station, then bus 2 towards Changi Village .. or 8-9 Sing dollars from Tanah Merah to the terminal). We took a small boat to Pulau Ubin, where we made the tour on mountain bikes. Even this was very interesting and a really good "time-out" from the hectic time in the city ... and shows the way an original Singapore. The tour lasted about 3 hours and, despite some increases on the island is not too strenuous. 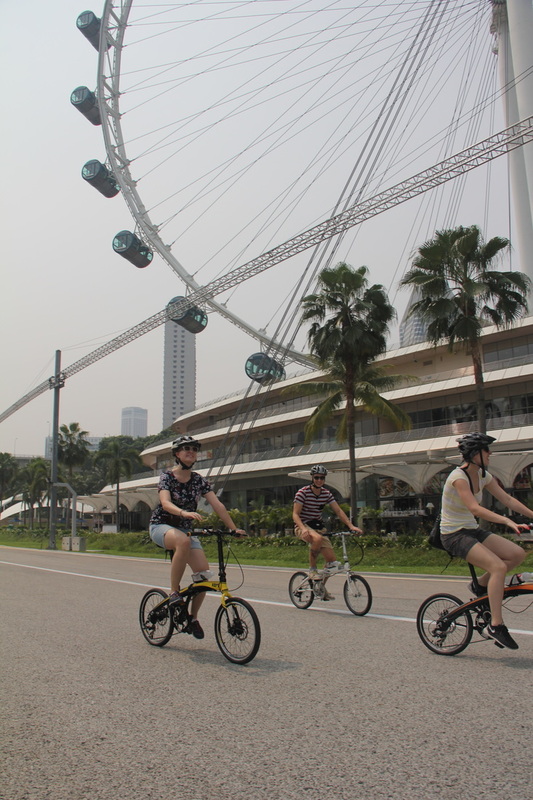 So I can really highly recommend biking Singapore. Ich habe schnell und einfach die Touren "Best of Singapore Cycling Tour" und die "Pulau Ubin Cycling Tour" über das Kontaktfeld auf der Homepage gebucht. Die Antwort kam sehr schnell, so dass aus organisatorische schnell über die Bühne ging. Die City Tour führte ca. 3,5 Stunden mit kleinen City Bikes an beiden Seiten der Quays vorbei. Vom Startpunkt des Hotel Novotel ging es mit kleinen Stopps durch die Stadt. Der Guide Tony hatte sehr viel interessantes über die Stadt und deren Kultur zu vermitteln, ein wirklich schöner Einblick auf das alte und neue Singapur. Zwei Tage später hatte ich ihr Pulau Ubin Tour gebucht. Hier war der Treffpunkt das Changi Point Ferry Terminal (Tanah Merah Station, dann Bus 2 Richtung Changi Village .. oder für 8-9 SingDollar von Tanah Merah zum Terminal). Wir sind mit einem kleinen Boot nach Pulau Ubin gefahren, dort haben wir dann die Tour auf Mountainbikes gemacht. Auch diese war sehr interessant und eine wirklich gute "Auszeit" von der hektischen Zeit in der Stadt ... und zeigt nebenbei ein ursprüngliches Singapur. Die Tour dauerte auch ungefähr 3 Stunden und auch trotz einiger Anstiegen auf der Insel nicht zu anstrengend. Also ich kann Biking Singapore wirklich bestens empfehlen.